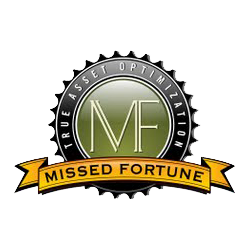 Missed Fortune is an American asset optimization movement headquarted in Salt Lake City, Utah and created by financial strategist, Douglas Andrew. The innovative strategy is based on his national bestsellers, Missed Fortune and Missed Fortune 101. The Missed Fortune line was established to show individuals how to effectively manage equity to enhance its safety, liquidity, and rate of return, as well as maximize tax benefits. Missed Fortune teaches how to achieve a greater retirement income while minimizing the risk of a shortfall. Missed Fortune places the emphasis on performing financially similarly to a banking institute or a large corporation. Unlike with traditional asset management plans, Andrew helps people find their missed fortune using his asset optimization, equity management, and wealth empowerment strategies. The strategy also emphasizes the significance of readily available retirement monies in case of a financial emergency. The Missed Fortune program tackles important questions all individuals must ask before placing more monies into an IRA or 401K. More than thirty years ago, Douglas Andrew’s dreams of financial freedom were shattered when he lost his home to foreclosure. Out of necessity, he began his career by devising his own asset accumulation plan which in the end became the tactic for his popular Missed Fortune publications. Millionaire by Thirty, Andrew’s more recent success was co-authored with his two sons who were self-made millionaires in their twenties. Douglas Andrew has extensive experience in accounting, economics, business management, financial planning, and tax planning. He is a retirement specialist who believes his Missed Fortune program can create financial freedom and greater wealth while maintaining personal relationships. Douglas Andrew points out that inexperience, blind trust and impatience are some of the most common financial hazards young people experience. As a sought after public speaker, Andrew has the ability to explain difficult concepts in a relatable and understandable way. Missed Fortune is a positive influence movement for individuals with the goal to optimize their assets and empower their true wealth. The unique strategies and service instil confidence and clarity to individuals seeking financial freedom. Missed Fortune offers concise, clear, and dynamic financial plans that analyze an individual’s current situation while implementing strategies to see greater results. Missed Fortune uses a unique approach for estate and retirement planning, debt management, and the accumulation of wealth. Missed Fortune places emphasis on key sources such as home equity and arbitrage. Douglas Andrew also stresses the importance of borrowing at a low interest rate and contributing those funds to a conservative financial vehicle that yields a greater return, thereby creating higher net income flows. The principles learned from Missed Fortune will also create greater property sales options, which will allow a homeowner to utilize home equity retirement planning that may provide tax advantages during the contribution and accumulation years. Individuals can also learn how to increase financial liquidity and to access the funds when needed. With the Missed Fortune philosophy, individuals can learn how to establish more secure financial strategies that offer tax advantages in the future. Douglas Andrew describes this as the Harvest Period. As cited in the Missed Fortune plan, one of the most overlooked opportunities is purchasing specific types of life insurance policies. The Missed Fortune books and programs illustrate how these insurance policies compare to mutual funds, but provide greater tax saving opportunities. Because of the tax-free accessibility of cash values that can be used for retirement income, these types of insurance contacts can far outperform 401(k)s and IRAs. Andrew’s true wealth optimizing strategy is available in the United States via public seminars, meetings, and retreats. Andrew’s team of financial professionals undergoes intense training of more than fifty hours and is assigned specific focus to help others optimize assets, control debt, and oversee personal equity. The Missed Fortune program is also available across the globe online. Douglas Andrew is a skilled, nationally recognized speaker and a master of simplifying complex strategies with the use of relatable metaphors. Missed Fortune is a division of Paramount Financial Services, Inc.